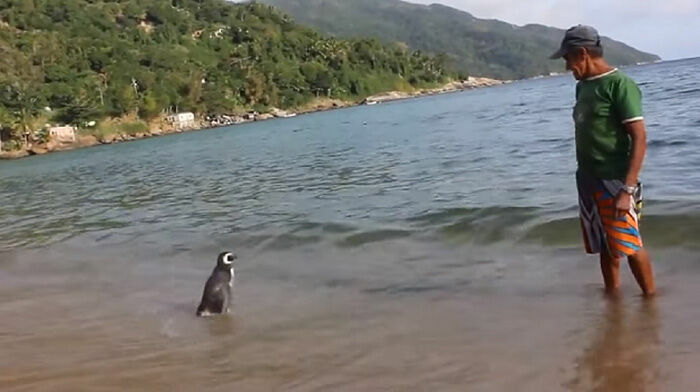 They say elephants never forget, but it looks like penguins have got pretty good memories too. 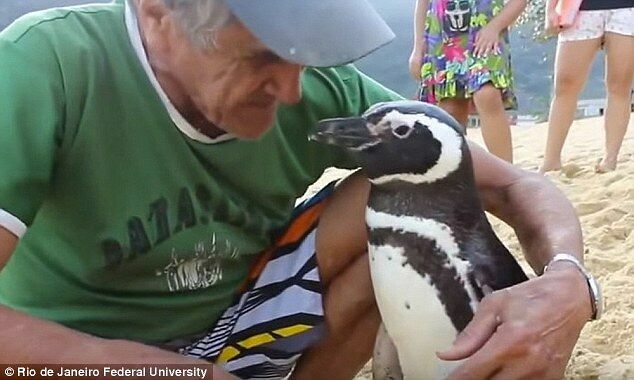 Well this penguin has anyway after a Brazilian man rescued it from near death. 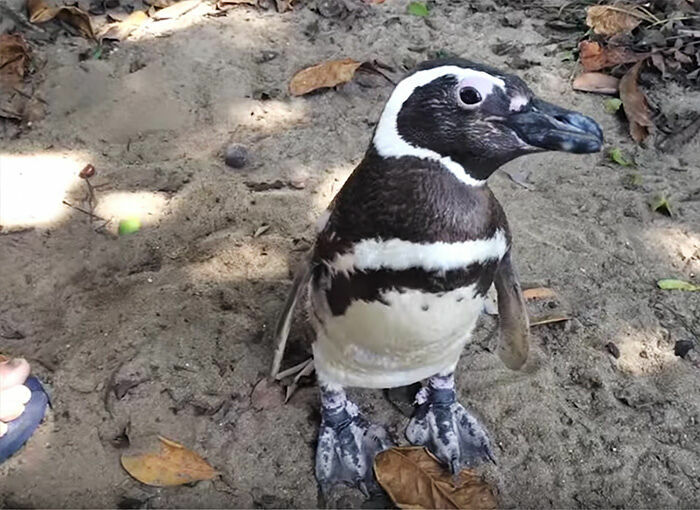 71-year-old fisherman Joao Pereira de Souz found the South American Magellanic penguin, who he's called Dindim, lying on a local beach just outside Rio de Janeiro in Brazil covered in oil and very nearly dead. So de Souz nursed the little guy back to health, cleaning the oil from his feathers and feeding him fish until he built up his strength. Once Dindim was back to good health after about a week de Souz attempted to release him back into the sea, but Dindim was having none of it. He didn't want to leave. 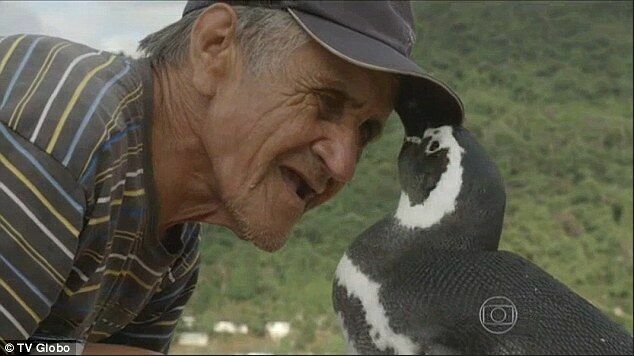 "He stayed with me for 11 months and then, just after he changed his coat with new feathers, he disappeared," de Souz explains. 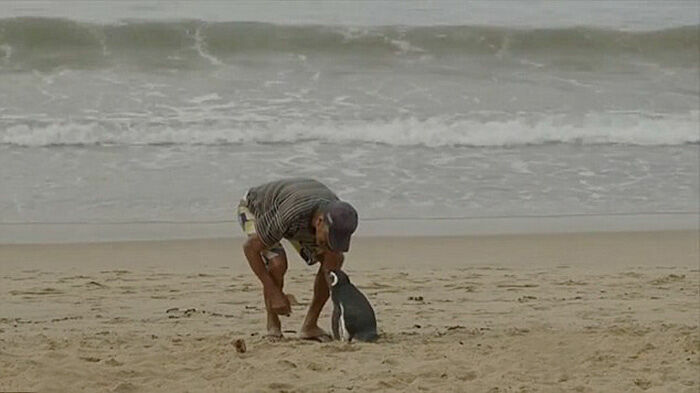 But a few months later Dindim reappeared, following de Souz home after seeing him on the beach. 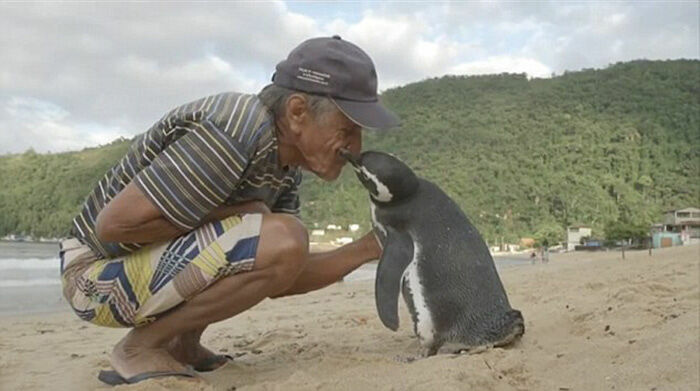 This was back in 2011 and since then every year Dindim has spent eight months a year with de Souz, and the other four months breeding off the coasts of Argentina and Chile, in the process racking up around 5,000 miles in his epic journey to be reunited with his fisherman buddy and savior.